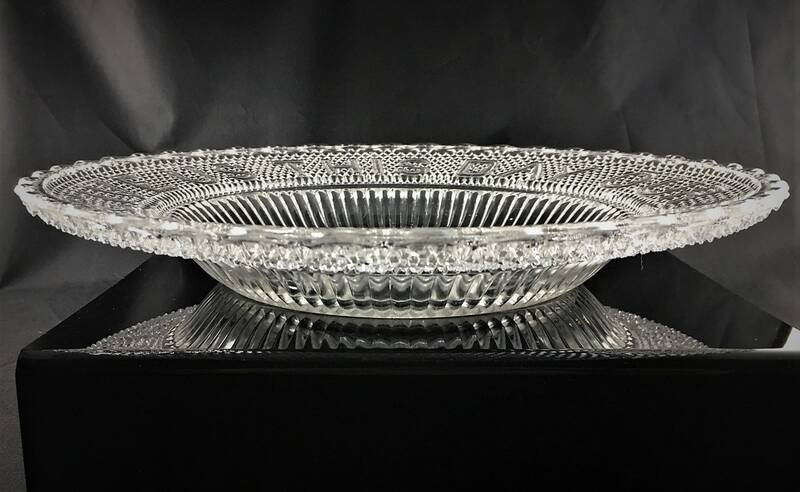 Featured here is a gorgeous piece of Early American Pattern Glass (EAPG). 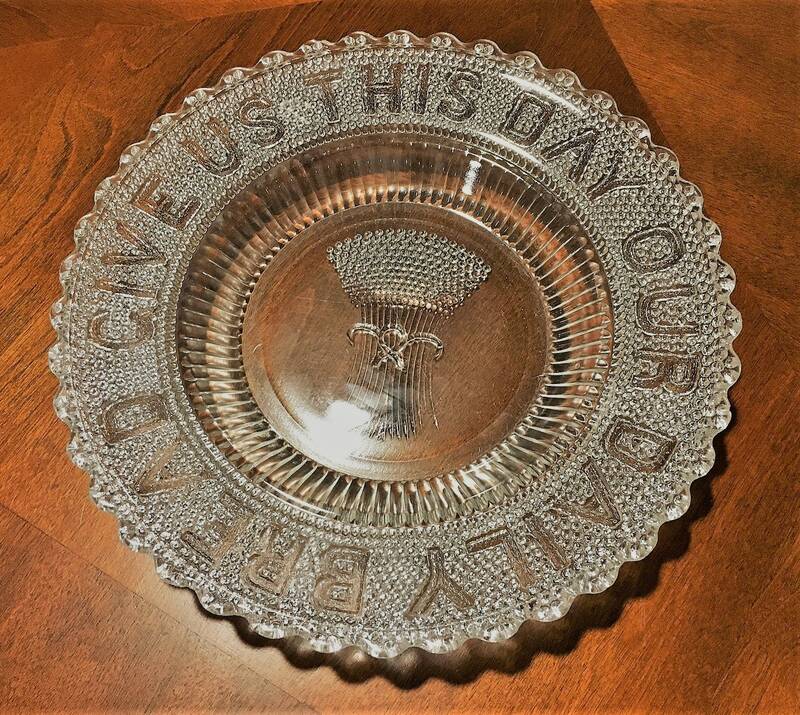 This ornate plate is from Campbell, Jones and Company and part of their Pearl Pattern. This pattern, also known as Dewdrop With Star, was produced in 1877. Don't confuse it with the reproductions out there from OSV or MMA, this is the original plate, measuring a full 11 1/4 inches in diameter. 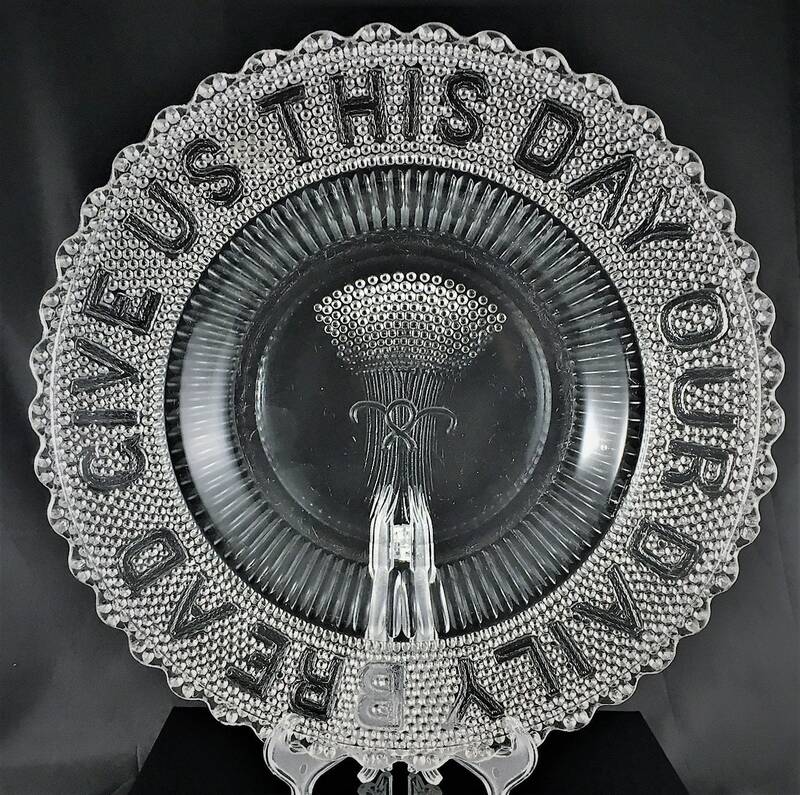 The reproduction pieces have a different font and are smaller in diameter. This piece has made it 140 years with just a couple dings to the points under it rim. Through the years a couple of these points have been chipped off and can be felt but are very difficult to see. 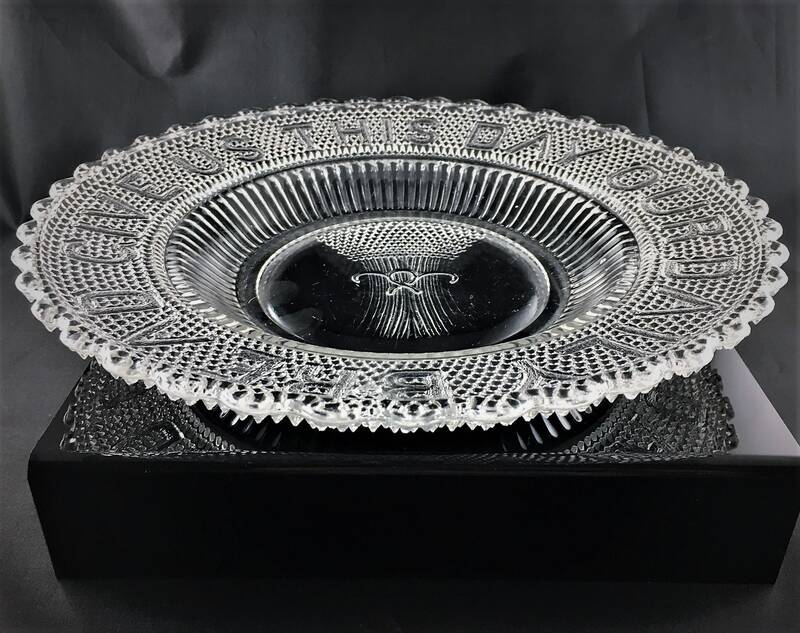 This is a stunning piece that would look magnificent both in your display cabinet or on your dinner table.